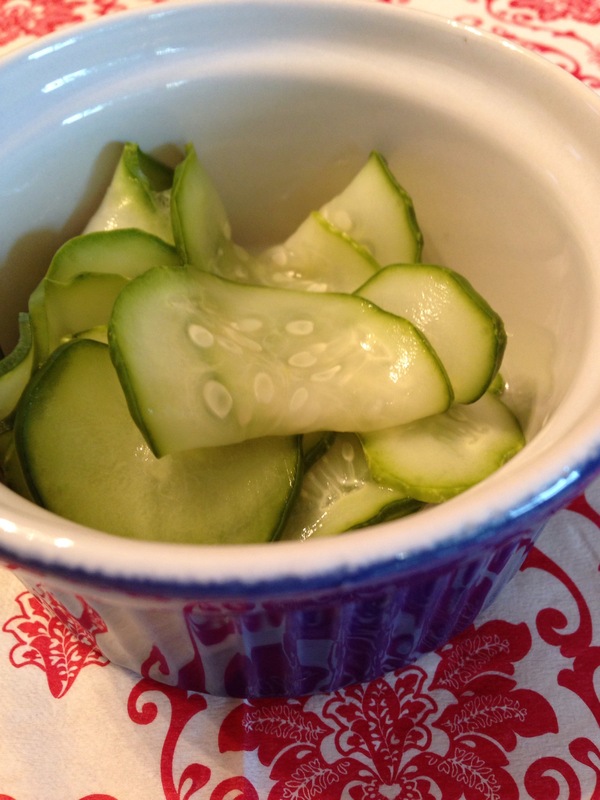 My parents always made cucumber salad when our pickling cucumbers were in full production. It is a Danish recipe and is less a salad and more a fresh pickle really, but I enjoy it, whatever name it goes by. If you go through it like we do, you can save the vinegar-sugar solution and just top it up with new cucumbers throughout the week. 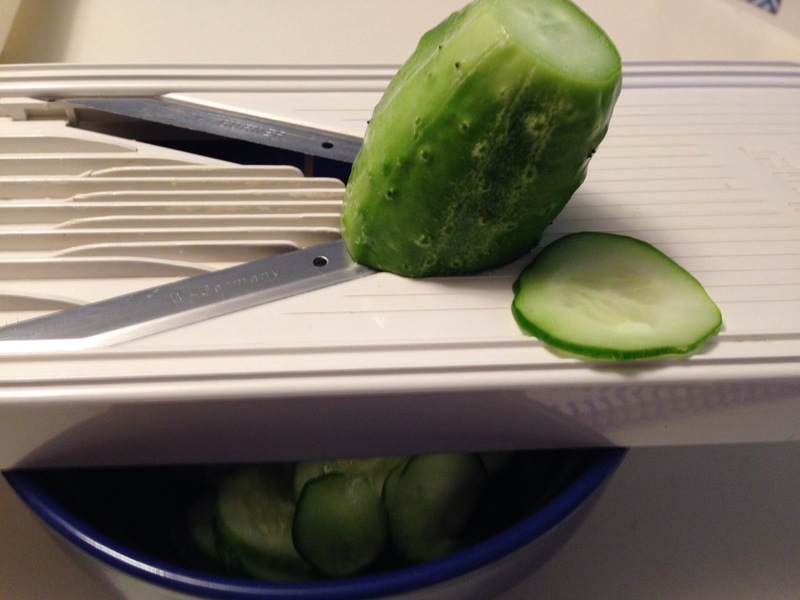 The cucumbers should be sliced very thinly, so the flavour penetrates the vegetable. I love to use my mandolin for this. I bought it at the Calgary Stampede the year before I got married and it quickly became one of my favourite tools. I guess watching my mom use it all the time, I never considered not having one. They are the inexpensive workhorse of the kitchen. 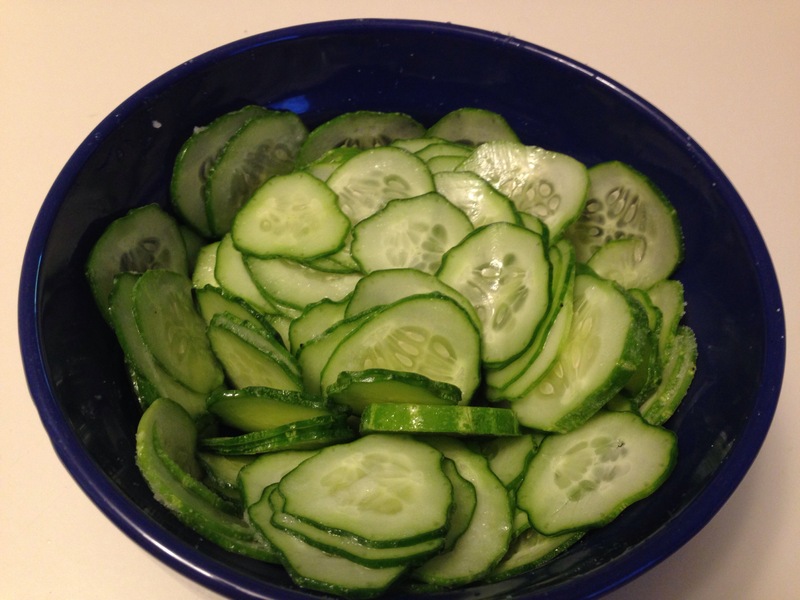 Sprinkle salt over the sliced cucumbers and let sit 1-2 hours to draw out some of the water and any bitterness that might be present. Rinse and drain well. Combine the sugar, vinegar, water and pepper. Pour over the cucumbers and let sit half an hour or more. My Grandmother made this but she added sweet onions. I have had it that way as well, but not commonly. Nice to have a connection.